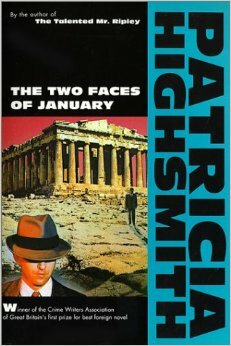 The Two Faces of January is the second movie I’ve reviewed this week based on a Patricia Highsmith book. Though I still have not read anything by her(I plan to! ), there are some common themes in this work and The Talented Mr. Ripley(the Book “Purple Noon” is based on). We got rich Americans, a poor con artist, a love triangle of sorts, and an exotic beautiful location. This story takes place in Greece and follows a married couple on vacation that meet up with a tour guide that is willing to show them around. We have a May-December relationship, an alcoholic husband, a character with father issues, a murderer that may or may not have done it on accident, a fugitive on the run, a smart con-artist, and that just describes the three main characters, some descriptions match more than one character too. Throw in a P.I. ex Marine and you got pure chaos. This defiantly is in a Hitchcockian style and could have just as easily been from 1964 as from 2014. This is written and directed by Hossein Amini who also wrote the screenplays for Drive and Killshot(both of which I hope to re watch and review in the future). I look forward to more from him in the future. We got Viggo Mortensen, Kristen Dunst and Oscar Isaac as our three main characters. All of them do a great job, as your alliances may change back and forth between the three throughout the movie. This film has a great score of 88% on Rotten Tomatoes and a fair score of 6.2 on IMDb and 66% on Metscore at this time. This is not the best film of 2014 nor is it even the best noir film of 2014 but is entertaining and worth a view. I think noir fans will find this more entertaining than the average person.